Base of Operations: Xavier School. Created By: Chris Claremont,John Byrne & John Romita. Affiliations: Hounds,X-Men,New Mutants(from Earth-181),Excalibur,Clan Ascani,Starjammers,Jean Grey School,X-Treme Sanctions Executive. The child of Jean Grey and Scott Summers from the Days of Future Past reality, Rachel Summers was forced to serve as a "Hound" by her slaver captor Ahab. Later free of the brainwashing, she would join the Excalibur team. Last updated by DAMartin on March 16, 2016. 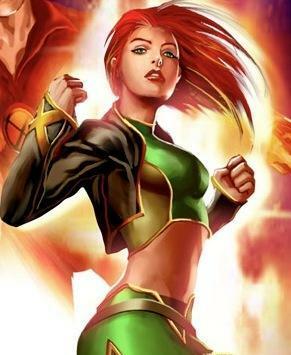 Contribute Profile Information for Rachel Summers.